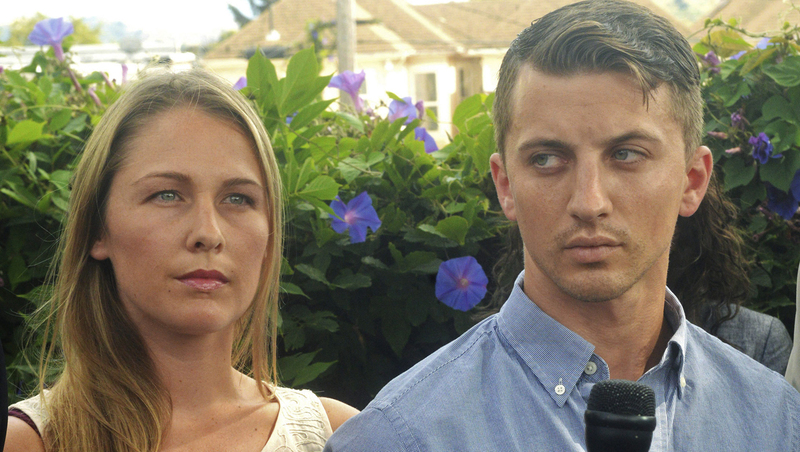 SAN FRANCISCO - Following the arrest of a man in connection with the kidnapping of California woman Denise Huskins - a case originally believed to be a hoax, attorneys for the woman and her boyfriend are demanding police issue an apology. During a news conference in Vallejo on Monday, lawyers for Huskins and her boyfriend, Aaron Quinn, blasted investigators and asked that authorities set the record straight and apologize to the couple. "What I want is for the Vallejo PD to do their job," Quinn's lawyer, Daniel Russo, said. "Go out, find out if there are other guys out there and make sure that next time this happens they think before they talk." On Monday, months after police labeled as a hoax the case of Huskins, who said she had been abducted for ransom, federal prosecutors announced they charged a disbarred Harvard-educated lawyer with her abduction. Matthew Muller, of Orangevale, California, was charged with kidnapping last month after he was arrested in a separate home-invasion robbery in the San Francisco Bay Area that had similarities to Huskins' abduction, the FBI said in an affidavit unsealed Monday. He is also a suspect in a 2009 home invasion in Palo Alto, another Bay Area City, police said. Huskins' ordeal began when she and her boyfriend, Quinn, reported kidnappers broke into the couple's Vallejo home on March 23, abducted her and demanded $8,500 in ransom. Quinn's lawyers have said he awoke to a bright light in his face, and two kidnappers bound and drugged him. Huskins, 29, turned up safe two days later in her hometown of Huntington Beach, where she says she was dropped off. She showed up just before the ransom was due. After Huskins reappeared, Vallejo police said the kidnapping was a hoax. Police have since declined to comment other than to say they are continuing to investigate. A call to Vallejo police was not immediately returned Monday. Huskins and Quinn appeared with their lawyers at the news conference in Vallejo Monday, but they didn't talk to the media. A teary-eyed Huskins and Quinn held hands tightly during the brief appearance and hugged before leaving. Huskins' lawyer, Douglas Rappaport, said his client will avoid commenting on the case to preserve the integrity of the prosecution. FBI Special Agent Jason Walter said in an affidavit that recently discovered evidence led them to conclude there was probable cause to believe Muller kidnapped the woman. Investigators who arrested Muller in South Lake Tahoe found a laptop that resembled one Quinn had, and a search of a stolen car that was connected to Muller turned up numerous other items, including a water pistol with a flashlight and laser pointer on it. People claiming responsibility for the woman's abduction in the days after it took place emailed photos of those items to a newspaper, Walter said. A cellphone in the car had one of the same photos sent to the newspaper, and the vehicle's navigation system turned up a Huntington Beach address -- an address reported by the San Francisco Chronicle to be that of the relative's home where Huskins resurfaced. Detectives also found a pair of goggles with a long blond hair on it, the same hair color as the victim's. The goggles were similar to those Huskins and Quinn said they were forced to wear during the kidnapping, Walter said. Muller was in custody on charges of attempted first-degree residential robbery and assault in a June home-invasion robbery in the city of Dublin. His attorney, Thomas Johnson, said in a brief statement that his client will plead not guilty to the kidnapping charges and already has entered that plea to the robbery. Those two crimes bear similarities to a 2009 home invasion in Palo Alto that Muller is suspected of committing, police Lt. Zach Perron said. Investigators considered him a suspect before he was accused of the other crimes, but police did not have enough evidence to recommend charges against him, Perron said. Palo Alto detectives plan to go through evidence collected during Muller's arrest in June for any potential links to the 2009 home invasion. Muller told investigators he served as a Marine from 1995 to 1999 and attended and taught at Harvard University after that, the FBI affidavit said. He said he suffered from psychosis and in 2008 was diagnosed with bipolar disorder, according to the affidavit. Muller was admitted to practice law in California in May 2011. His state bar profile also says he attended Harvard Law School. His license was suspended in 2013 for failing to pay annual dues, records show. Later that year, the state bar filed disciplinary charges against Muller, citing his failure to file a green card application for a client's son. The notice states Muller took $1,250 in advance money from the client. Muller failed to cooperate with the bar's investigation, leading the State Bar Court to recommend his disbarment in January. The state Supreme Court ordered him disbarred in June. Wilson Purves, a partner with the Kerosky, Purves & Bogue in San Francisco, said Muller worked as an associate at the immigration law firm for a year before it terminated his employment in 2012. Purves declined to discuss the termination, but said there was nothing that stood out about Muller. "Nothing extraordinary would make me feel that he could be accused of something like this," he said. "I don't know what happened between then and now."